Intimate Records is one of the most respected music labels in the UK. Founded in 1989 by producer extraordinaire: Errol Michael Henry, Intimate Records has been a standard setter for quality soul music – from it’s very first release and continues to light the way today. The historic labels like: Motown, Island, Atlantic and Stax all had a personality, and whilst Errol would not welcome the comparisons: Intimate Records does too. Having a world-class music producer at its head has ensured that Intimate Records has accomplished the difficult feat of developing its own ‘sound’: often referred to as “The Intimate Sound.” Other record labels have come to appreciate the consistent quality of Intimate Releases and approached Errol to produce records for them too. Artists like: Bobby Womack (“I’m Back For More” single), Lulu (“Independence” album), The Jones Girls (“Coming Back” album) and Jaki Graham (“Rhythm of Life” album) have all utilized the ‘Intimate Sound’ to great effect. ‘Please Come Back’ by Dean Edwards (featuring the great Ronnie Jordan on guitar) burst on to the scene and immediately put the label on the map. Yet if a young (and at that time, still largely undiscovered) Errol Michael Henry had succeeded in his original plan: Intimate Records might never have existed at all. Artists like: Anthony Drakes, Julianne, Richard Anthony Davis, The Affair, Bizzi and Chris Ballin have benefitted from the real sense of community that has always existed at Intimate. We treat artists and producers with genuine respect and they in turn, offer us their best efforts.” Intimate Records has its own ‘sound’ – not an easily accomplished objective, yet somehow: Errol Michael Henry manages to ensure that every release – (regardless of the artist) meets his exacting standards. “Artistic people ‘connect’ in a unique way with other creative types” says Errol. “I think it helps immensely that despite my corporate responsibilities, I have never lost sight of that fact that making music is where it’s at for me. Great melodies and groovy beats excite me just as much today as they did at the very beginning of my career. Errol concludes by saying: “I am very proud of the music we make here at Intimate Records and of the integrity poured into absolutely everything that we do. We sign genuine people who make sincere music for the pure joy of it and we will continue to make proper records for our extremely discerning audience – because that’s what we love to do.” ‘Heartbreaking’ – by The Sound Principle [featuring Richard Anthony Davis] received plenty of airplay and ‘What’s The Reason?’ [featuring Hil St Soul] catapulted The Sound Principle project to even greater heights. 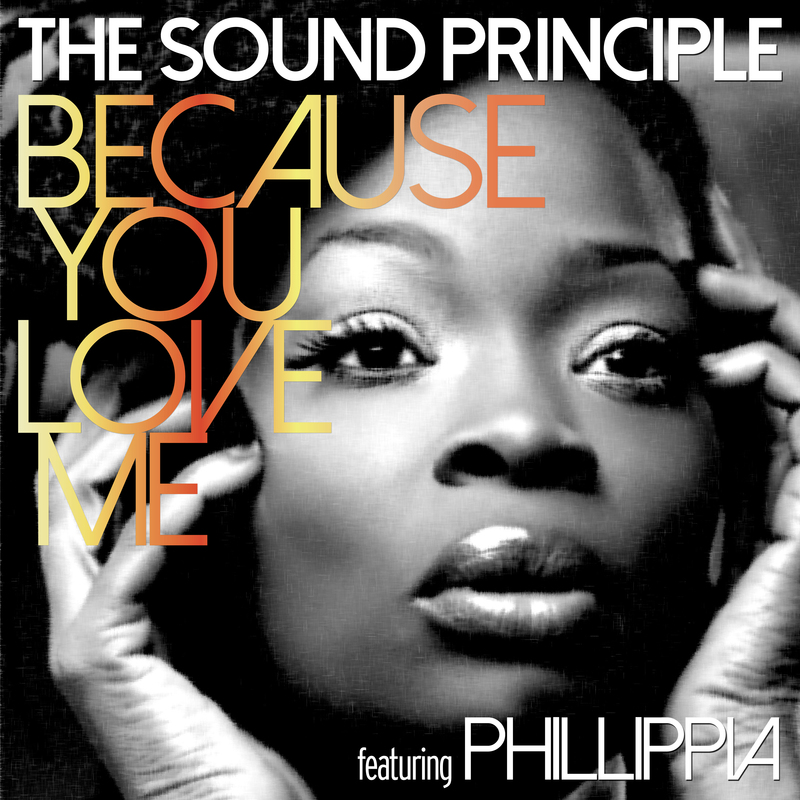 ‘Because You Love Me’ featuring Phillippia is the new single from The Sound Principle is due for release shortly.